Each month the children learn about plants, growth, food and nutrition along with the different food cultures around the world. 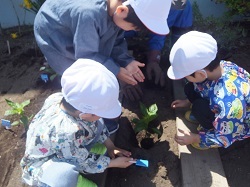 Each year the children plant a variety of vegetables in the kindergartens own garden to be harvested in August. 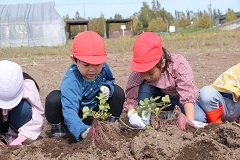 At the crops thanksgiving day festival, the children prepare and cook the vegetables they grew. 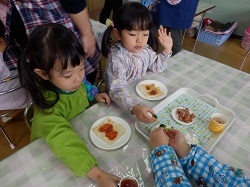 At International Yamanote Kindergarten proper nutrition is taken very seriously. The children are taught about proper eating habits and it’s importance to good health. The senior classes are provided a special plot of land at Satoland in which they plant either, sweet potatoes, soy beans or onions. They then get to experience harvesting vegetables in a more farm like environment. With a nutritionist on staff, the children are guaranteed a balanced and healthy school lunch. School lunches are every Monday, Tuesday and Thursday. 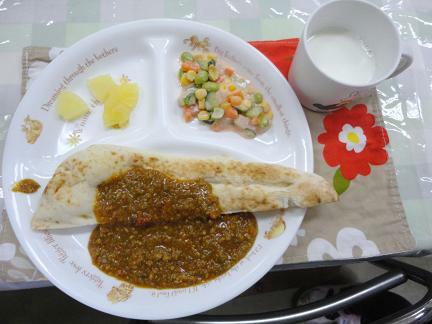 Once a month the nutritionist prepares a special lunch to allow the children to sample a food from another country.